Throughout the 80s and most of the 90s, the role-playing genre was dominated by fantasy settings, standard sword-and-sorcery affairs time-locked in various medieval or feudal societies. 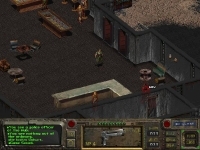 There were occasional bouts of innovation, such as Wasteland, one of the earliest RPGs to touch on the idea of life after a nuclear holocaust. Still, they were few and far between, and most were doomed to obscurity. All right, here’s the plan. We go in. I start shooting people, and we see where it takes us. 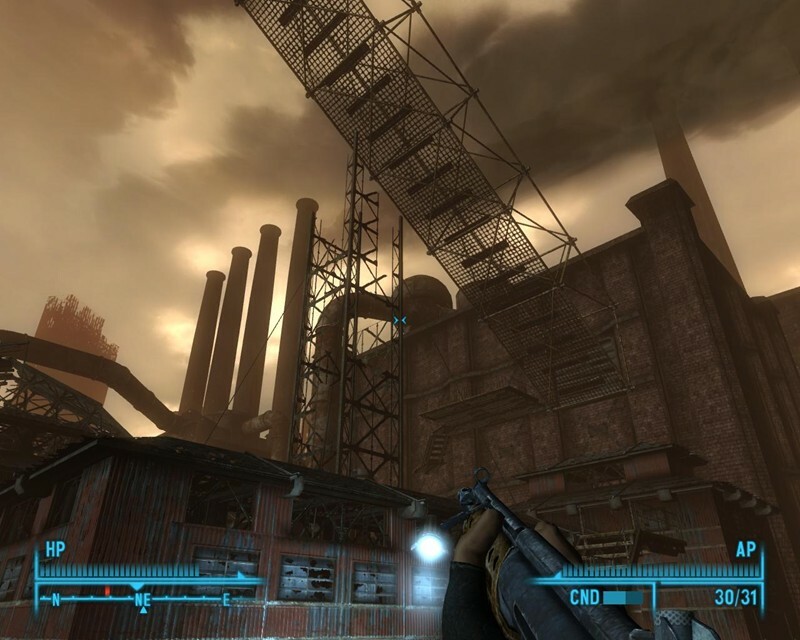 The Fallout series, spiritually descended from Wasteland and founded by many of the same developers, took a more thorough stab at sci-fi roleplaying with its post-apocalyptic setting. 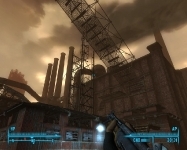 Fallout brought several welcome and unique gameplay elements to the table, not the least of which was versatility owing to excellent writing and scripting, but what truly brought the genre forward was its atmosphere and style. Essentially, Fallout is Mad Max built atop the ruins of 1950s America: from Red Rider BB guns and music by the Ink Spots to the Red Scare and the mantra of “duck and cover.” The Cold War never ended. Europe lay broken and bickering. Russia loomed large and menacing. Conflict erupted with China over depleted natural resources, ultimately prompting a worldwide exchange of nuclear missiles, and humanity’s privileged few took shelter in a network of large, underground vaults. 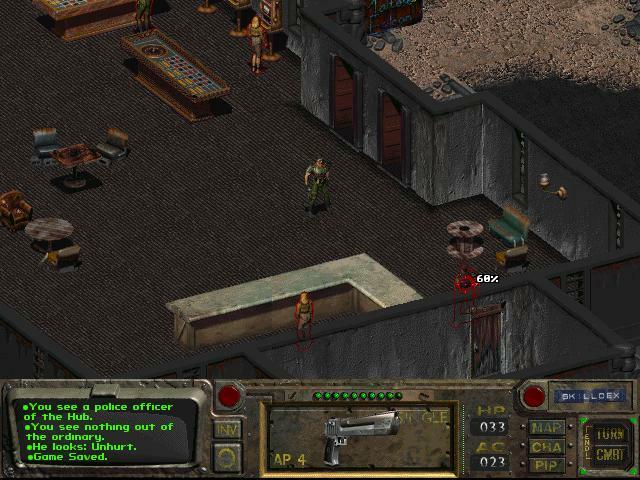 Setting aside the spinoff titles, the Fallout RPGs possess style without peer. The opening cutscenes lay the ground work, with irrepressibly cheerful propaganda and patriotic broadcasts depicting the image of life before the bomb. America is happy, proud, and strong. The camera pans back, revealing a ruined city. The scene shifts, showing the grim fate of a group of vault dwellers. The broadcast dies, guns start firing. Reality sets in: those days are over, and they’re not coming back. Crawling out of this mess is the collected mass of survivors: wide-eyed vault citizens, hardened surface-borne scavengers, ghoulish irradiated mutants, and all manner of nightmarish monstrosities. Raiders garb themselves in improvised leather and scrap metal armor, pillaging nearby towns; village elders eye outsiders with suspicion and distrust; criminal elements lurk in the shattered ruins of major cities, trading drugs, weapons, and people. And then there are those who wander, like the player, seeking fortune, salvation, or just clean food and water among the wastes. While the gameplay was deep and robust for its time, it is the idea that survived its parent companies, Interplay and Black Isle. This idea of the world after World War III is so potent, so vivid, that though it was left for dead year after year, it would eventually manifest again under the direction of Bethesda. Say what one will about their Elder Scrolls series, on which Fallout 3 is clearly based, but their attention to atmosphere and style does much credit to this idea. So it is that Fallout earns its place in gaming history. War may never change, but with Fallout, the role-playing genre certainly did.